A few weeks ago I was browsing the cosmetics isle over at Duane Reade-as per usual, when I happened to spot a Wet n' Wild display which housed various shades of their newest Cover All Cream Foundation. You all know that I love trying out foundations, so of course I had to give this one a go. First of all, I really love the tube packaging. It's simple, sturdy, hygienic, and it dispenses the desired amount of product without any waste. I took a chance and decided to go with the shade "817 Light" for my NC 25 skin tone. I think I should have gone down a shade though because this one is a tad too dark for my winter pale skin at the moment. But once summer rolls around and my skin warms up a bit more, I have no doubt that the color match will work better for me then. Not all is lost though. 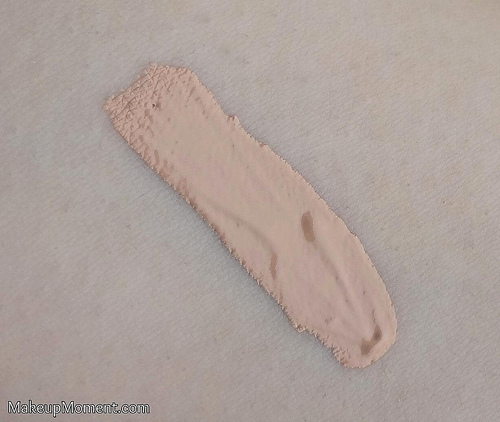 I can still get away with this shade if I really buff and work this foundation into my skin, ensuring a seamless finish. I do detect a fragrance to this foundation and I am not fond of it at all. My nose isn't super sensitive but the chemical-like smell is somewhat overwhelming. Luckily, once the foundation has been applied, the fragrance doesn't linger for long and it dissipates after a few minutes. 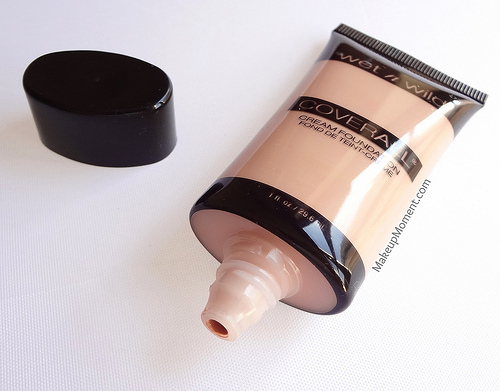 The formula of Wet n' Wild's Cover All Foundation is fantastic. It's smooth, creamy, and it just glides on my skin. It's very easy to work with and it makes blending a cinch. It feels comfortable and weightless on the skin, too. Love! When it comes to the coverage, I would say that it's definitely medium-buildable. I usually apply two layers for my desired coverage, as I find that one isn't sufficient enough for me. I have an uneven skin tone and a few acne scars and blemishes that I look to cover, and this foundation does a nice job at evening out and blurring imperfections. But if you are looking for full-on coverage, I suggest applying a concealer on troubled areas, as this foundation probably won't be enough on its own. Matte foundations are often notorious for enhancing dry areas, but the semi-matte finish of this one seems to agree with my dry skin. It doesn't cling to dry or flaky bits, and the resulted finish looks quite natural. I am impressed with the lasting power of this foundation. It lasts all throughout wear time (the longest I have worn this has been 9 hours) and I didn't feel the need to touch up my oil-prone areas by mid-day. Overall: I am pretty pleased with this foundation and I am happy to report that this foundation did live up to its claims, for the most part. It lasts all day, I got a nice medium coverage that I was satisfied with, it felt comfortable on my skin, and the semi-matte finish was flattering and natural looking. I can't really vouch for the reduced appearance of wrinkles and rejuvenated skin bit, since it's not something that is of concern for me-yet. I think this is a nice budget pick if you are on the market for a drugstore foundation that offers medium-buildable coverage. Those with oily skin are sure to love this foundation, as the semi-matte formula hangs on, without fading. 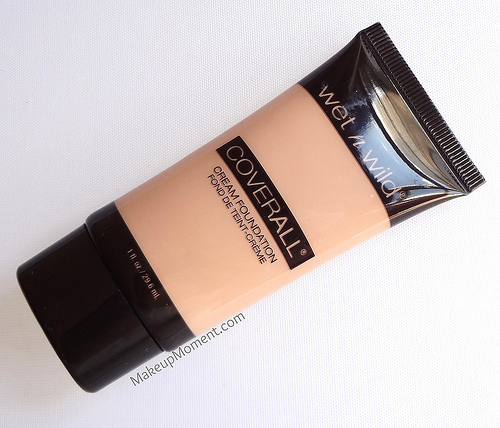 What do you all think of Wet n' Wild's Cover All Cream Foundation? Definitely putting this in my to-try list! Recently I tried their liquid eyeliner and I was pleasantly surprised by the quality! I absolutely love this foundation!! It is such a great quality for the price! I can never find WnW in Canada! I hope you do soon, Jennifer! Their products are really nice-especially the eyeshadows. So pigmented and lovely! Gotta love Wet 'n Wild's affordable prices!